“On behalf of the 300 children under our wing we have been and will continue to be busy on the medical card crisis. Our nurses have formally requested a meeting with Minister Reilly to discuss what his Department calls “the hard cases” which we have documented and to demand that he & his cabinet colleagues give proper consideration to automatic medical cards for the children in our care, children with life limiting/threatening conditions. Children who deserve better. They are always central to our argument. 1. Please tune into Breakfast at Newstalk tomorrow at 7.45am when Shona Murray does yet another interview with one of our families and nurse Caroline Thomas on the torture of medical cards. This again will demonstrate why this broken system needs a big fix, not a quick fix, as health economist Professor Charles Normand from Trinity College says. 2. 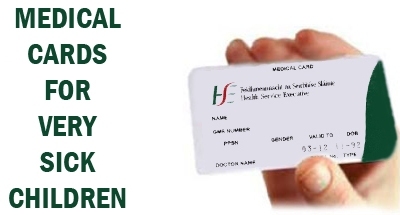 If you haven’t already, please sign up to www.ourchildrenshealth.ie online campaign for medical cards which Jack & Jill fully supports. They are hosting their “Show of Support” right outside the office of An Taoiseach at Government Buildings, Merrion Sq tomorrow between 1pm and 2pm. We’ll be there! We will continue to fight ALL THE WAY on this one on behalf of the children under our wing. They may not have a voice, but they certainly have an army of supporters around the country who will speak out on their behalf regarding this injustice on medical cards. We will also keep you up to date on the slow but sure legal track on which we have embarked. We have families ready to take this Government to court on medical cards based on the rights of the child to access the medical support they require. Our children want more action and less talk on their rights.